Attract – REDI | Regional Economic Development Inc.
Columbia, Missouri, is a mid-sized city with a strong economy rooted in education, research, healthcare, life-sciences and high-tech industry. With a highly skilled labor force, access to transportation and an excellent quality of life, Columbia and the surrounding Boone County area have much to offer businesses of every type and size. REDI is the point of contact for business development in Columbia and Boone County. REDI provides site and building information, comprehensive area demographics and labor availability, community tours, community leader introductions, and customized state incentive proposals to prospective businesses and site selectors. A tax-abatement incentive program based on Chapter 100 Revenue Bonds is available in Boone County. 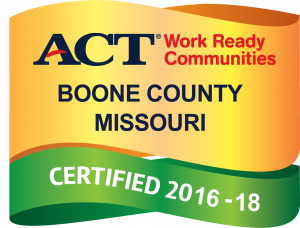 For program policy and qualifying criteria, contact Bernie Andrews, REDI Executive Vice President, at 573-441-5541 or Bernie.Andrews@CoMo.gov.